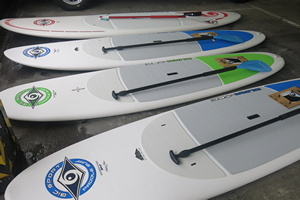 ABC has a number of Stand Up Paddle Boards that are used for regular "Familiarisation and Introduction" sessions. These are also available for hire to club members once they have completed a session. non-members (although non-members cannot subsequestly hire boards). Children aged 8 - 11 may take part, but may not subsequently hire boards. Teenages aged 12 and over and adults who are club members may subsequently apply to be added to the SUP Hiring List.